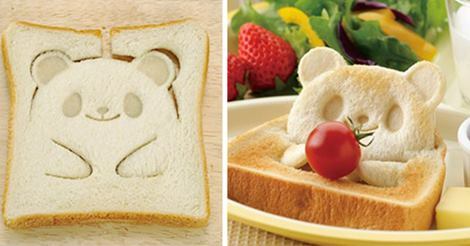 A toast press — shaped here like a teddy bear — makes your morning slice or lunch sandwich an event. This is the first I have seen these…and they come in all kinds of designs. That’s what I get for not watching Food Network anymore. This entry was posted in Cooking, Design, Food, Home, Humor, Life and tagged bread, cooking, design, food, Food Network, home, Humor, life, sandwich, slice, sliced bread, teddy bear, toast, toast press. Bookmark the permalink.